Rare basement entry home on 7600 sq ft lot with 62' frontage. This well cared for and updated home is perfect for a family looking for an affordable home with a functional floor plan. 3 bedrooms on main floor with a 2 piece ensuite off master bedroom. Original oak hardwood floors on main with cherry wood floor in kitchen complimenting the updated kitchen with cherry accents, recessed lighting and stainless steel appliances. Beautiful custom fir doors give designer style to this contemporary home. Double doors lead you out onto large deck overseeing the huge rear yard off dining room. A full height basement with great suite potential, large rec-room with a cozy gas fireplace, full bath, office (bedroom), laundry room and den. 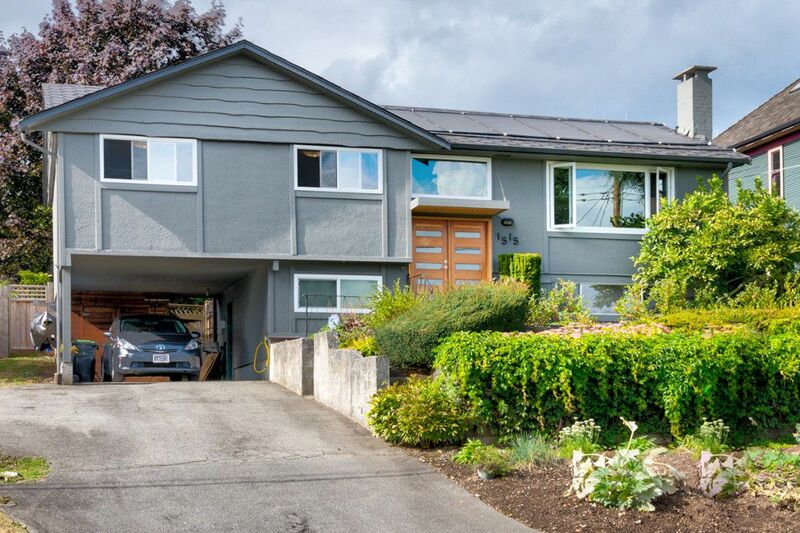 Conveniently located in New Westminster's sought after West End within walking distance to Lord Tweedsmuir School.